Medium to large size deciduous shrub with oblong to oblanceolate leaves, densely hairy on the undersides. 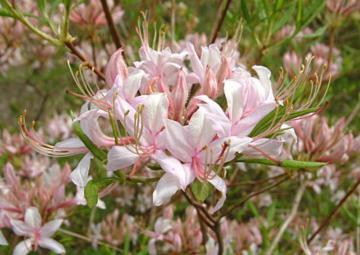 Freely produced trusses of sweetly scented, pale pink flowers, darker in bud, in April and May. Native to the southeastern USA.